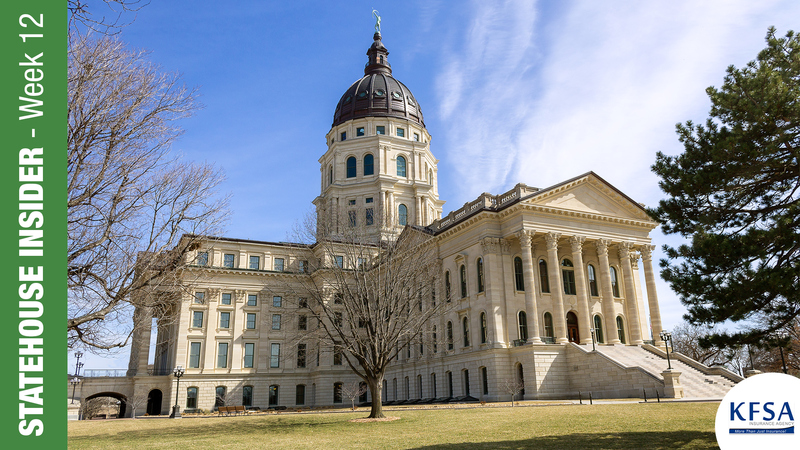 Multiple meetings between the two Chambers resulted in the House eventually acceding to the Senate’s offer in Senate Bill 16 of additional funding for Kansas schools in the amount of nearly $90 million-a-year for four years. The Governor promptly signed this bill which was essentially the proposal in her budget. Last summer, following over a decade of litigation, the Kansas Supreme Court had ordered the legislature to pass a new funding law, by April 30th, that would “adequately” fund Kansas schools. The hope is that now, with the additional funding, the Court will render a decision finding the legislature has provided adequate funding to meet the Kansas Constitutional requirement of “suitable provision for finance of the educational interests of the state.” On April 15th, Kansas Attorney General Derek Schmidt will present this new funding to the Court which increases the base state aid per pupil. This week, following Governor Kelly’s veto of Senate Bill 22, the Senate was unable to secure the necessary votes (27) to override the veto on the Senate floor. This bill would have decoupled portions of the Kansas corporate tax code from the federal corporate tax code following passage of the 2017 Federal tax cuts and jobs act. The House amended the bill to include language which reduces the state sales tax on food by 1 percent (to 5.5 percent). In order to pay for the sales tax reduction on food, the bill was also amended to require a tax on sales in Kansas conducted over the internet. It was thought that the House amendments would give the Governor a reason not to veto the bill. There may yet be life in the contents of the bill if they can be rolled into another tax conference committee report during the veto session.